Thank you to everyone who helped us on our 2nd mission of vision to Quito, Ecuador! It was a big success. ​Our team of 8 left Mt. 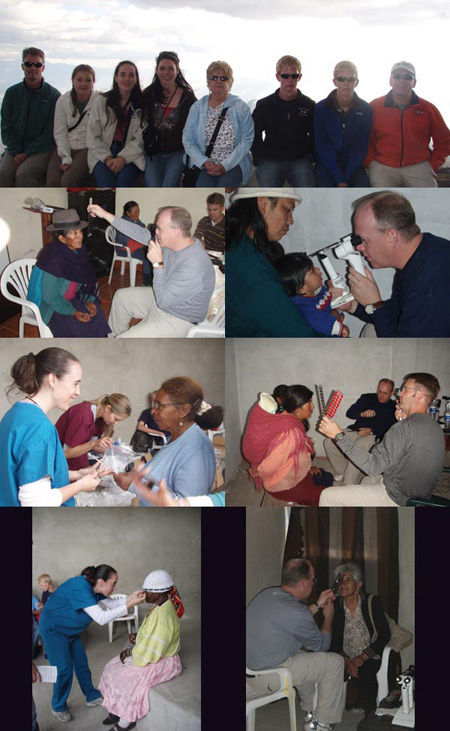 Home, Idaho on September 22nd for eight days in Ecuador to perform vision exams in poor communities surrounding the capital city. Following the doctors' exam, we fit prescription glasses and non prescription sunglasses, gave eye drops and medications when needed, and also handed out clothing, gifts, and hygiene items to those in need. We saw about 1,500 people in 5 days of clinic and gave out approximately 900 pairs of glasses. We were also able to visit 3 poor schools to give the children and teachers school supplies and gifts to bring joy and help to their community. We were so thankful for the chance to go and do a humanitarian trip like this and we appreciate everyone who donated glasses and supplies to make it so successful.